have I been very busy these past days. Not only have I knitted one scarf ... no, I have now knitted two and I am now in the midst of crocheting my third one. The crochet scarf is a bit of a challenge because of the pattern and the wool I have chosen to use for it. I have had to unravel it about 8 or 9 times at least because I didn't count properly or I made a mistake! I am also crocheting my little flowers to embellish my two knitted scarves with at this moment and depending which scarf is done first, that is the one that will be mailed to Vicki from 2 Bags Full. 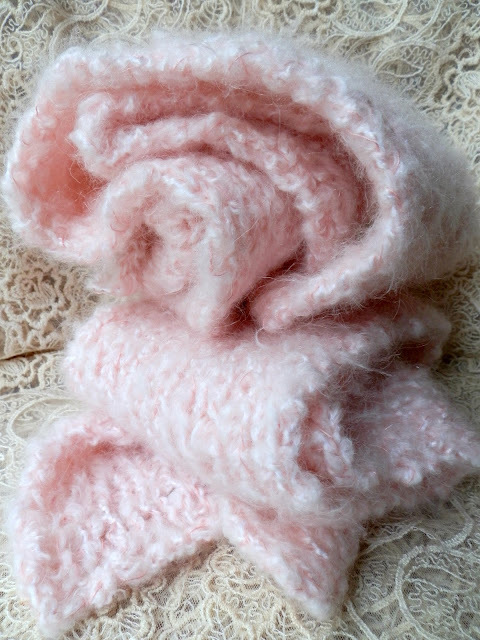 These two scarves are so soft and warm and pink ~ perfect in every way! I still need to make more of these little flowers. I love this pattern and it has given me a few headaches but never the less ~ it looks so nice and once you have worked on it for a while it gets easier to do. I am also very happy that I chose a vibrant pink for this scarf ~ it even has tiny shiny sequences. Maybe I will try and make one from a more delicate color some time in the future. 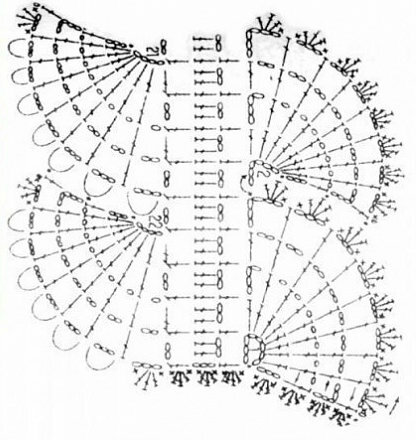 This is the pattern I am crocheting at the moment. I can't remember if I found it on the net or if a friend gave it to me. Maybe one of you lovely bloggers will find use for it too either for Vicki's Pink Scarf Project or maybe as a Christmas gift for a dear friend or relative? I have finally got a date when work will be starting in our basement. I am a bit worried about everything right now and since we had a few surprises when we bought the house that weren't too good I am hoping there will be nothing new to add to that list. I will take some photos of before and after to share with you which I will share in a future post. It would be very nice to see you here soon at Todowen soon again! Oh Karen-- I am absolutely overjoyed with these beautiful scarves! I can not imagine what it will be like for someone to receive these as gifts-- a warm hug- a treasured gift from a total stranger-- who cares. These will make someone's day a little brighter. You are an angel to put so much love into these gifts. You have photographed them perfectly-- may I use some of these photos on my blog when I show them? You are way ahead of me girl, I am knitting with a very fine fluffy yarn, because I want a very lightweight scarf, and its taking ages! Just as well this is a year long project, lol. WOW Karen, they look so soft and just in time for the cooler weather to set in. Love the different shades of pink, definitely a wonderful gift to warm someone's heart. Thanks for sharing the pattern! 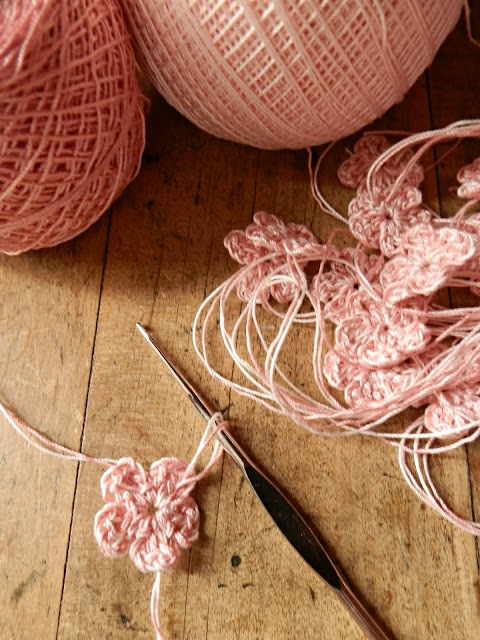 Oh my these are beautiful scarves, GREAT pink color choices and your additon of the little crochet flowers are perfect. Love your creative blog, so many idea. I wil follow you to see more. Adding The Last Touches .. I Have Been Waiting For This All Year ..